NAIROBI, Kenya, April 18, 2019 – Small and medium private healthcare providers can access loans for the purchase of medical equipment by providing their MPESA /MTIBA statements. 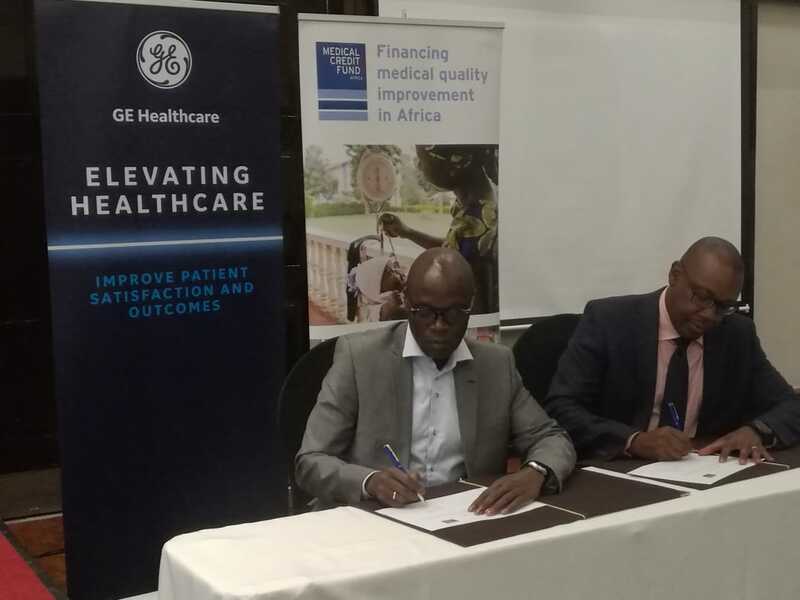 GE Healthcare (www.GEHealthcare.com) and Medical Credit Fund (MCF)-part of the PharmAccess group- (www.MedicalCreditFund.org) have entered into a partnership to enable small and medium private healthcare providers to access loans for the purchase of GE Healthcare manufactured medical equipment. The announcement was made during a Radiology Clinical Day organized by GE Healthcare and the Kenya Association of Radiologists (KAR). The partnership aims to improve access to better quality healthcare for patients living in underserved areas by financing the purchase of various diagnostic equipment. Under the partnership, the MCF will provide access to mobile-based lending and business improvement programmes to eligible healthcare providers, while GE Healthcare will support the program through provision of GE equipment and technical support. Borrowers which qualify for loans include eligible healthcare facilities in the private sector offering a broad array of primary care services and especially with an explicit focus on family and mother-child care. Under the partnership, borrowers will be able to secure loans of up to $100,000, by providing limited information notably their MPESA /MTIBA statements, with a 24 months repayment plan. “There is a case for innovative financing models and technical support to healthcare SMEs to support them to grow and improve the quality of healthcare services they deliver to underserved populations. Together with GE Healthcare, we are looking at social entrepreneurship in the healthcare space as an entry point to strengthen the healthcare system and to support the achievement of UHC goals.” said Mr. Isaiah Okoth, Country Director Kenya, PharmAccess Foundation. Also Read Destination Universal Health Coverage: Can PPPs be the vehicle to get us there? On his part, Mr. Andrew Waititu, General Manager for GE Healthcare East Africa said, “We are committed to developing new delivery models that improve access, clinical quality and patient outcomes as we progress towards Universal Healthcare Coverage. Our collaboration with Medical Credit Fund is a significant step towards attainment of this goal”. The interest rate cap regulation has further reduced lending to SMEs, with banks preferring to lend to larger, well established and less risky customers. One of the first beneficiaries of the program, James Ndaba Head of Administration at Trinity Care Centre said, “We always wanted to upgrade to the latest Ultrasound machine, but financing was a challenge. Through the MCF and GE Healthcare financing program, we were able to easily acquire an ultra-modern Ultrasound machine which our patients like and hence prefer our facility over others nearby. We have also seen the number of our patients per month increase by over 40%. According to Kenya Master Facility List, Kenya’s healthcare landscape is 50% public and 50% private. The public sector struggles to meet the dual demands of growing populations and limited resources. As a result, over 50 percent of Kenyans are using private healthcare facilities. But the private-sector also faces an uphill struggle in delivering quality, affordable healthcare. The small and medium enterprises (SME’s) that serve lower income groups often function with sub-standard infrastructure and equipment and a scarcity of skilled medical staff. Despite demand and an obvious need, health SMEs have difficulty accessing capital to improve this situation. This is because of the perceived high investment risk due to a lack of banking history and limited collateral. The best stories of growth in Nigeria have been private sector driven – whether it is in telecommunications, financial services or in infrastructure. So, why have we not felt the impact of the private sector in the health sector, especially on the frontlines of primary health care (PHC)? Almost everyone in Nigeria has directly or indirectly experienced the catastrophic impact of emergency out-of-pocket expenses on healthcare. We can no longer keep on doing the same thing – and hope for different outcomes – it is time to think differently and do things differently. It is time for strategic private sector engagement. We all agree that the desired destination is Universal Health Coverage (UHC), i.e. ensuring that everyone in Nigeria has access to quality healthcare. As defined by the World Health Organisation (WHO), UHC means that “all people and communities can use the promotive, preventative, curative, rehabilitative and palliative health services they need, of sufficient quality to be effective, while also ensuring that the use of these services does not expose the user to financial hardship“. Countries that have made significant progress in reaching this goal have health systems that include functioning primary healthcare, with a trained health workforce, access to essential medicines and the requisite technology to perform their roles. Sustained financing is also available to the health system and the entire population irrespective of their economic status has access to quality health services. However, in Nigeria, how do we achieve this goal given our mixed and fragmented health system that encompasses the private and public sector? How do we ensure that no individual or family is impoverished by catastrophic health expenditure? The Nigerian health sector has suffered from chronic underfunding, 72.24% of current health expenditure is out-of-pocket, leaving patients to bear the burden of funding their own healthcare. This has led to sub-optimal healthcare delivery with many of our health indicators below national targets and international standards. Eighteen years after the Abuja Declaration where African Union states pledged to allocate at least 15% of their annual budget to health, Nigeria continues to default. Low budget allocation (and it is reducing rather than increasing) has crippled the Nigerian healthcare system in many ways. We forget that a healthy population is truly the best insurance we can have for our economy to thrive. Several studies have shown that investing in health leads to economic development. If primary health care provides whole-person care for health needs throughout one’s lifespan, not just for a set of specific diseases, why do we neglect PHCs in Nigeria? Why do we still have wards that have no functional PHCs? Why do Nigerians visit secondary and tertiary health facilities for illnesses that should be treated at the primary level? This is likely because the primary healthcare system has failed them. There are competing demands on Nigeria’s national budget and health has not been given sufficient priority, leaving it underfunded. In a recent speech by Christine Lagarde, Managing Director of the International Monetary Fund (IMF), she stated that the Nigerian economy will struggle due to low revenue generation, given the country’s tax-to-GDP. This will have implications on the country’s ability to direct sufficient resources at the health sector and there is little hope that more funds will be made available to strengthen our already weak health infrastructure. The role of the private sector is therefore critical in enabling improved access to health for all. It is clear that our public health system faces limitations, as it is not able to meet the healthcare needs of the population. The private sector, however, has the capacity to provide the technical efficiency required to deliver health services. Engagement of the private sector has, therefore, become critical as with the growing population in Nigeria, the public health sector is overcrowded and slow to innovate. Many initiatives have been tried to bolster the health sector and public-private partnerships (PPPs) in healthcare have emerged as a possible vehicle to enable the advancement towards UHC. Yet, this is not an easy space. It is littered with failed projects and lost investments. It requires extensive thought leadership – an area that we at Nigeria Health Watch partnered with PharmAccess Foundation to address through a recent health policy dialogue. The private sector can play an important role in strengthening health systems in Nigeria. Through their expertise and capacity and PharmAccess Foundation has an integrated approach that focuses on the supply side of healthcare delivery, not just the demand side. 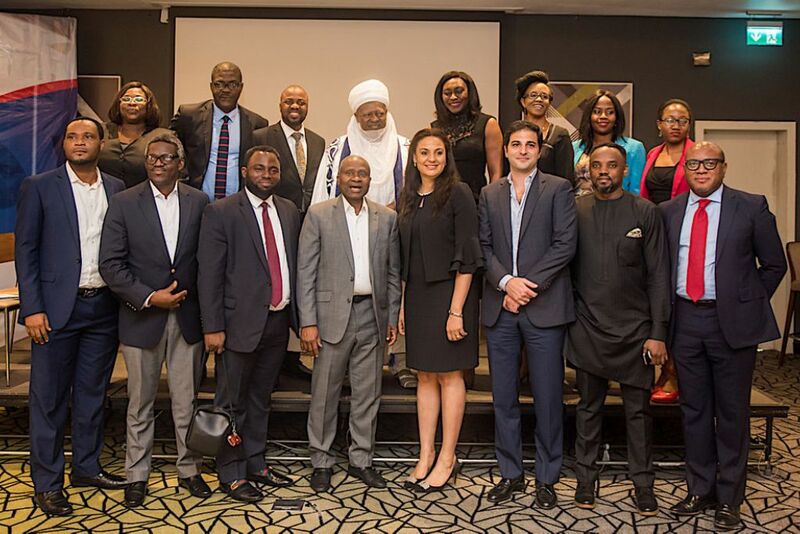 The health policy dialogue on the 11th April 2019, organised by PharmAccess Foundation and Nigeria Health Watch, titled “Disrupting health care – PPPs as a model adoption for health system strengthening in Nigeria” highlighted PharmAccess Foundation’s journey in revitalising primary health care centres in Lagos through PPPs. This is not PharmAccess Foundation’s first foray into PPPs, the organisation had worked with Hygeia Community Health Care and the Kwara State Government on a PPP to develop the Kwara State Community Health Insurance Scheme, with the aim of providing affordable access to quality healthcare through the introduction of subsidised health insurance. The selection by PharmAccess Foundation of primary health care centres to revitalise first involved a geo-spatial mapping of existing facilities in Lagos. In the process, it became evident that there were many non-functional primary health care centres which still received an allocated budget to run. The PPP model adopted by PharmAccess enabled greater access to finance to enable the revitalisation of primary health centres – the frontline of healthcare access for more Nigerians. Realising that health facilities have struggled to access finance due to the stringent requirements put on them by financial institutions, PharmAccess established the Medical Credit Fund (MCF), which places money within the banks as guarantees, with the purpose of helping private healthcare facilities to access affordable finance and PharmAccess supported with capacity development. The effort as Ms. Njide Ndili, Country Director, PharmAccess Foundation, explained, was to provide loans at single-digit interest rates, compared to financial institutions with interest rates as high as 24%, making repayments easier and anchored on a model of sustainability. In providing loans, PharmAccess Foundation also ensured that the healthcare services provided by such facilities met a minimum quality standard. To support the revitalised health facilities, PharmAccess Foundation introduced SafeCare, the only quality accredited standard for resource restricted countries like Nigeria. SafeCare standards were developed with Joint Commission International (JCI) and facilities receive their accreditation from the Council for Health Service Accreditation of Southern Africa (COHSASA). “Quality is not a pass or fail process in our own books. It is about improvement”, Ms. Ndili said while discussing SafeCare. “All health PPP projects must consider dimensions of quality including technical competence, access to services, effectiveness, safety, efficiency and continuity”, Dr. Ibironke Dada, Director of Quality at PharmAccess Foundation pointed out. What drives the lending system? Trust. Trust. Trust. Trustworthiness matters in all financial transactions; healthcare transactions are not excluded. At the policy dialogue, Mr. Olufisayo Okunsanya, Business Development Director of the Medical Credit Fund, explained how trust is key between all stakeholders and in its absence, lending does not occur. “Trust drives financial services. Trust drives lending. Trust is capital for the doctor and equipment supplier”, he said. In addition, when looking at the challenges in funding healthcare in Nigeria, the inconvenient truth is that the government cannot fund the infrastructure requirements of the health sector. The bulk of the federal government’s expenditure is spent on recurrent expenditure leaving little for capital expenditure. If Nigeria is to adequately fund its health sector, we need to view healthcare not as an expense, but as a business. According to Dr. Olamide Okulaja, Director of Advocacy and Communications at PharmAccess Foundation, financing is not the only solution to solving Nigeria’s healthcare problems. He said that we would also need to have systems that are in place to absolve financing and continually justify its release. “To ensure that adequate domestic resources are allocated to the health sector, dedicated analytic, policy, and advocacy efforts are required”, Dr. Olamide added. The role of the government in this mix is to ensure that they create the enabling environment for the private sector to support the running of primary health care facilities. They should be regulating and providing governance in healthcare and let the private sector use their expertise and competence to deliver healthcare. Healthcare needs to be seen as a business and only bankable ideas get funding. With PPPs you cannot do collateral borrowing and so the healthcare provider is borrowing against the future cash flow that will come from the business. This provides reassurance for the financing organisation for the loan will be repaid. We all have an enlightened self-interest, so it is in our best interest to fix healthcare in Nigeria and look for solutions outside of traditional government financing to address the funding challenges in healthcare. How do you provide health care for a community left out of the health system for many years? That is the story of Polobubo, in Delta State, one of the most remote hard-to-reach communities in Nigeria. With a population of about 75,000 inhabitants, the community had until recently no access to healthcare due to their extreme isolation and remoteness. Accessing Polobubo through its closest town Warri, requires a 3hr 45mins boat ride, travelling with a 200-horsepower double engine speed boat, through the Niger Delta creeks, and across the Atlantic Ocean. The high maternal and infant death rates would have continued in Polobubo if not for the intervention of the Delta State Health Insurance Scheme delivered through a PPP model consisting of PharmAccess Foundation’s Medical Credit Fund’s Access to Finance framework, the Bank of Industry and Toronto Hospital, in Anambra State. A successful approach, the model had registered 2,639 enrollees who pay an annual premium of N7,000 and attended to 3,990 cases, including caesarean sections, minor surgeries, appendectomies in the Polobobo health facility, within two months of operation. All of these and many more success stories would not have been made possible without a PPP. “We are breaking boundaries and getting healthcare to areas no one will dare”, Dr. Emeka Eze of Toronto Hospital said. In the 2019 health budget, about ₦50billion has been allocated for capital expenditure. 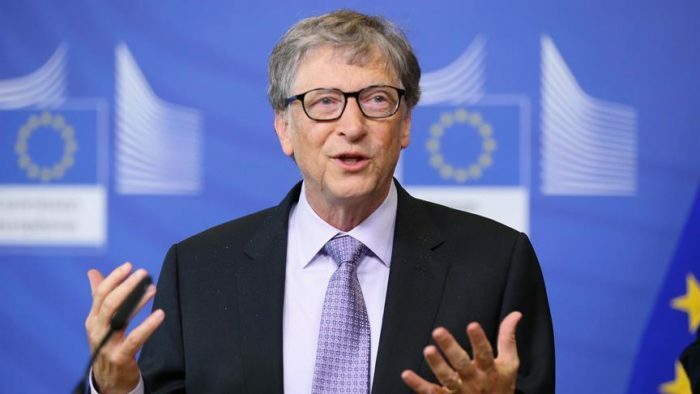 Clearly, this amount is unable to cover the infrastructure gap in the healthcare industry and cater for the health needs of Nigeria’s burgeoning population of almost 200 million people. Can PPPs fill the gap in health funding? The government does not trust the private sector due to fear that they will put profit before performance, however, there appears to be a sea change. For the first time in Nigeria, two state governments are releasing funds to the private sector to revitalise some of their healthcare facilities. This is a testament to the political will in Lagos and Delta State to partner with the private sector. In 2017, the federal government flagged off its Primary Healthcare Revitalization Programme, announcing its target of revitalising 10,000 PHCs in Nigeria. Recently, the Minister of Health, Prof. Isaac Adewole, however, said that the government has only been able to revitalise 4000 PHCs. Could financing be a major hindrance to achieving the FG’s target? Perhaps this is an opportunity for the private sector? In joining the PPP vehicle, the words of Mr. Olufisayo during the policy dialogue, come to mind “If you want to be a good public-private-partnership candidate, do not come alone. You have a better chance if you collaborate with others. The strength of the pack is the wolf, and the strength of the wolf is the pack”. The ability to scale up PPPs needs to be driven by government policy, regulation and political will, critical enabling conditions for the successful implementation of PPPs. This was seen with the partnership between the Lagos and Delta State governments and other stakeholders; the public sector commitment was evident. Dr. Olaokun Soyinka mentioned during the policy dialogue that “Government needs to advocate within government”, and so promoting the benefit of PPPs. Evidence of a successful PPP model, as Engr. Chidi Izuwah pointed out, was Garki Hospital, in Abuja, the first ever public-private partnership in the Nigerian health sector. Under the stewardship of Prof. Chris Bode, the Chief Medical Director at the Lagos University Teaching Hospital, a state of the art Cancer Centre was commissioned in partnership with a consortium that included the Nigeria Sovereign Investment Authority (NSIA) in February 2019. PharmAccess Foundation’s journey in PPPs has shown significant promise and evidence of the organisation’s successful partnerships can be seen in the revitalised primary health centres in Lagos and Delta State. So, opportunities to scale up PPPs this model is encouraging in the absence of more funds being directed at the health sector. The role of the government is critical and as public funds are increasingly being invested in the private sector, we are slowly pushing ahead in the journey towards Universal Health Coverage. UHC means that all people and communities receive the health services they need without suffering financial hardship? Can community health care workers address the Primary healthcare Crises in Nigeria? In many developed countries of the world who can boast of a good number of primary health care centers per geographical area/population; they still make use of physician associates, health visitors, advanced nurse practitioners, pharmacist independent prescribers, nurse advisors, and health care assistants etc to fill in the gap. In Nigeria we do not have enough medical practitioners per population or geographical area. This is the time to train and retrain more community health care workers as this will help in managing long term conditions, reduction in child hood illnesses due to lack of immunization. Trained birth attendants will also help reduce maternal mortality and community nursing care will reduce infant mortality. Studies have been conducted in some developing countries and there is enormous evidence to portray the importance of integrating lay health workers in the primary health care force. I believe this is a step in the right direction if we must provide universal health coverage in Nigeria. I feel there is a sense of urgency for this; and I’m calling on all stakeholders to work together towards achieving UHC in Nigeria. 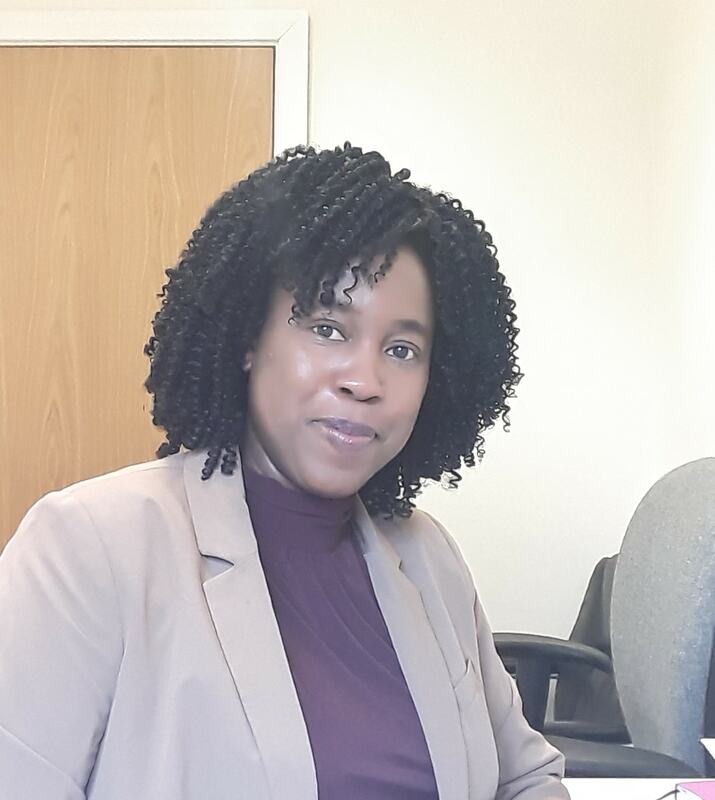 Adaku Efuribe is a Pharmacist with professional experience in medicines management, clinical pharmacy and integrated healthcare. Adaku is a strong advocate of Universal health coverage and has an inspiring vision of what this should look like in the future. She is passionate about achieving the United Nations SDG goals and committed to advancing health promotion and integrated Healthcare.